Sunday, November 5th 11:00 am is Vital in Chicago! “That Old Serpent” Not Heard in Fall Convention! SERVICES WILL BE HELD ON THE 1ST FLOOR IN THE "BALLROOM A." Please Join Us in Milwaukee, WI for our Annual Fall Convention 3 days of Anointed Blessing! Call above Phone # to make sleeping room reservations now! Mention you are attending the Harlo White Ministries Fall Convention to receive the special rate. Everyone Needs To Hear This Message! Additional parking available one block south behind Walgreens for $8. FOR HIS 79TH BIRTHDAY! DON’T MISS IT! Reveals A Message You Must Hear! Sunday, July 2nd: 10:30 am only! receive the Special Nightly Rate of $163. Cut off June 2, 2017. Click Here to Watch the Live Broadcast! Join in Live by Calling the NEW Conference Line! NEXT MIRACLE MEETING IN CHICAGO! Valet Parking available at the Crown Plaza Hotel entrance. Additional parking available one block south behind Walgreens for $8. Pastor Harlo White for a special Mothers Day message! 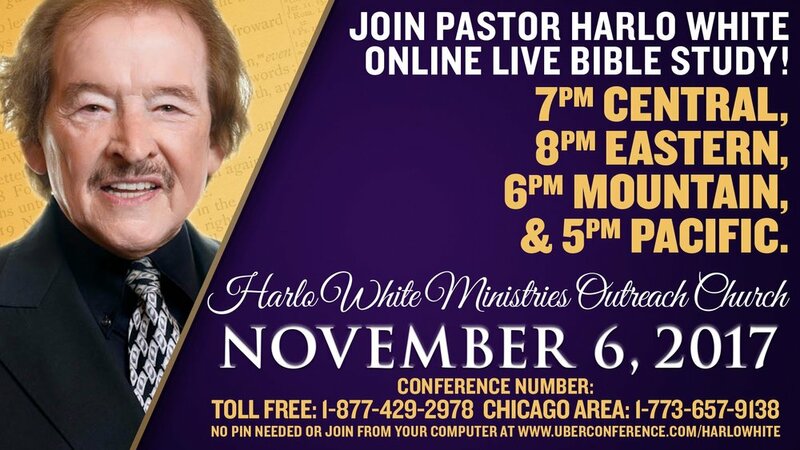 Join Pastor Harlo White in Chicago for a Special Resurrection Communion Service! A Powerful Miracle Sunday Not To Be Missed! Communion Service With Christ For Total Healing In Every Aspect! You Will Be Thrilled As This New Truth Unfolds! 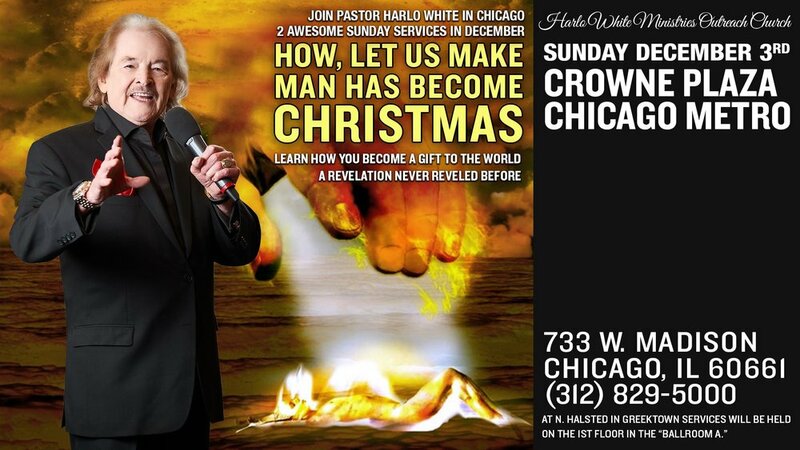 Pastor Harlo White Returns to Milwaukee! For his first visit of the year! 2 SERVICES ONLY! Please Call Above No.# To Reserve Sleeping Room Now!